AA member Turbo Laser Lynx is currently working on a new title for the Atari Lynx called Baron Lovejoy Travels in Time. The game is meant to have an unapologetically cartoony style that is clear and easy to read. 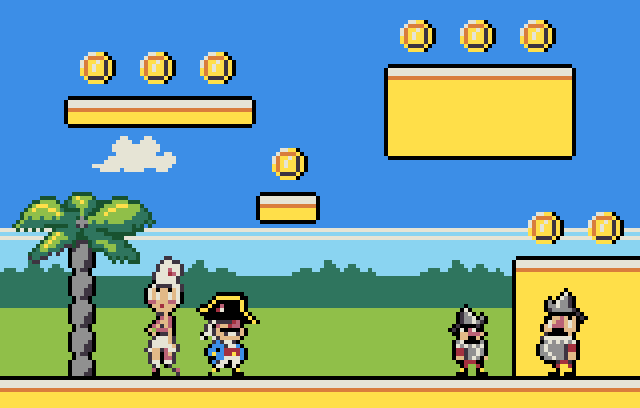 It's also meant to have simple gameplay, perhaps early arcade style, kind of in an archetype platformer style. The plan is to release this in cart from at some point in the future. He's also working on versions of the game for the Commodore 64, Commodore Plus4/C16 (+64k ram) and VIC-20.